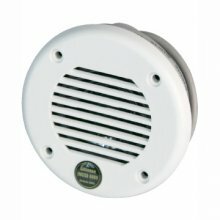 IMCOS-6899 is a flush mounted loudspeaker, designed to be fitted in a toilet. Shallow profile, ideal for tight wall or ceiling spaces. Type approved by marine class societies: ABS, BV, CCS, DNV, GL, LR, RINA. loudspeakers parallel mounting not included.